December 1, 2017 Toronto: On the eve of the International Day for People with Disabilities (December 3), it looks like millions of provincial dollars are destined for another brand-new building with serious disability accessibility problems, in a preliminary design revealed two days ago. These problems are similar to some of those which the grassroots AODA Alliance made public a month ago in the Ryerson Student Learning Centre a YouTube video that has gone viral. It shocked many that a new public building could be designed with such accessibility problems. The AODA Alliance is calling on the Wynne Government to intervene, to prevent this from happening. 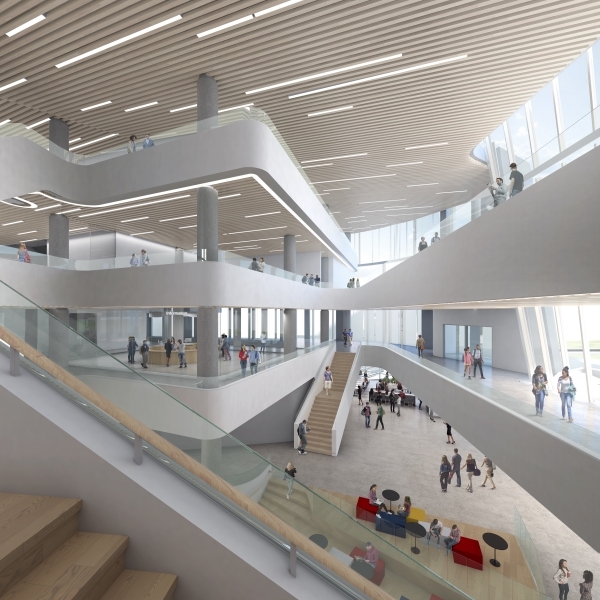 On November 29, 2017, York University unveiled the preliminary design its Board of Governors approved, for York’s $250 million new Markham Campus Centre. The design reveals serious accessibility problems that would face people with mobility disabilities, blindness, low vision or balance issues. Examples are listed at the end of this news release, with links to the preliminary design drawings posted on York’s website. York’s November 29, 2017 news release says the Ontario Government will contribute over $125 million. In the 2014 election, Premier Wynne promised to ensure that public money is never used to create barriers against people with disabilities. The Ontario Government’s 2011 Ten Year Infrastructure Plan also committed that new provincial infrastructure would be accessible. The AODA Alliance online video, showing serious accessibility problems at the new Ryerson Student Learning Centre, has been viewed over 10,000 times in its first month. * the AODA Alliance’s Ryerson video 12 minute version. * the AODA Alliance’s Ryerson video 30 minute version. * The 2.5 minute version, edited down by the Toronto Star, taken from the Original AODA Alliance video. One year ago, the AODA Alliance made public an earlier YouTube video, that showed serious accessibility problems at yet another new education building, Centennial College’s Culinary Arts Centre. (2 versions together seen 2,900 times) * 6 minute version. The Wynne Government has not answered the AODA Alliance’s earlier calls to enact stronger regulations on the accessibility of buildings. Lesser measures, like voluntary private certification schemes, won’t prevent these problems. It is especially troubling that these plans for new publicly-financed accessibility barriers are unveiled for Ontario’s education system, on the eve of the International Day for People with Disabilities. Over one third of a million students with disabilities in Ontario face too many accessibility barriers of many kinds, in Ontario’s education system. One year ago almost to the day, on December 5, 2016, Premier Wynne commendably promised to create a new regulation to address these under Ontario’s Disabilities Act, an Education Accessibility Standard. An Education Accessibility Standard is needed to set clear and strong accessibility requirements in all facets of Ontario’s education system (not just the built environment). Yet just days before that promise’s one year anniversary, the Wynne Government has still not taken the first step it must take, to keep that pledge. It has not appointed the promised Education Standards Development Committee to recommend to the Government what that regulation should include. The non-partisan AODA Alliance is busy working with Ontario’s disability community on strategies to raise accessibility issues like these in next year’s provincial election. As this grassroots coalition or its predecessor has done in each of the past six provincial elections since 1995, it will ask each of the major political parties for specific commitments on what they will do to ensure that Ontario gets back on schedule for becoming accessible by 2025. 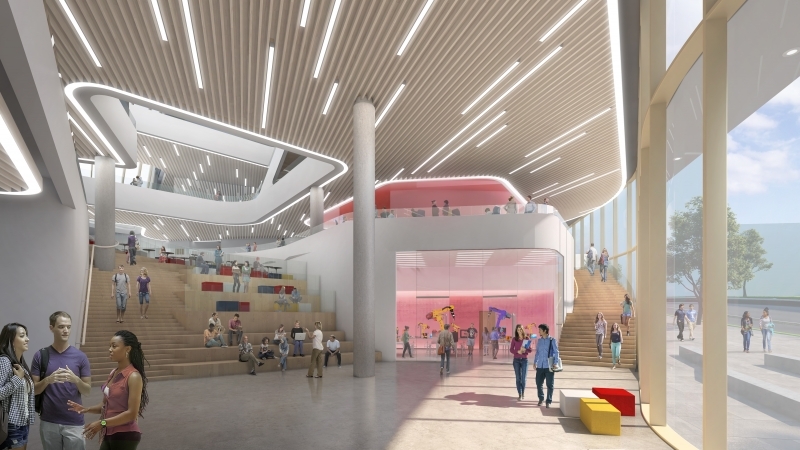 * Inaccessible “Hang-out steps” and socializing/study areas on the way up the main lobby staircase, a student gathering area where people with physical disabilities are excluded and navigating can be risky for people with vision loss or balance issues. http://markham.yorku.ca/wp-content/blogs.dir/1790/files/markham-centre-campus/Interior-Rivis-Road-Entrance-Hall.jpg * Parts of a staircase that follow an irregular route, and that lacks consistent and graspable hand rails on each side, presenting problems for people with balance issues or vision loss. Also lacking tactile walking surface indicator at the top of the stairs, needed by people with vision loss for safety. 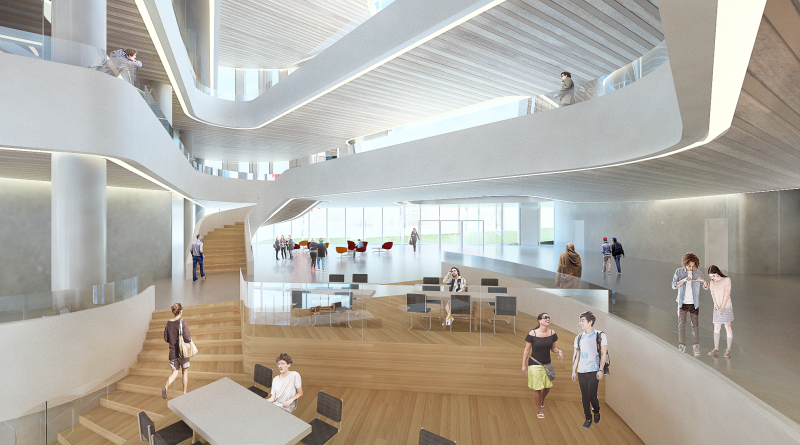 http://markham.yorku.ca/wp-content/blogs.dir/1790/files/markham-centre-campus/Interior-view-of-2nd-Level-Lounge-to-the-Common.png * Problematic for people with low vision, there is a lack of colour contrasting e.g. at the edge of stairs.